100 Pandas slot by IGT takes you to an oriental-themed spinning session with 30,000 coins max win up for grabs. Know more about this five-reel slot here. 100 Pandas: Charming Theme But Wishy-Washy Rewards? Charming pandas and big wins call for a delightful spinning adventure, and IGT is giving you both. Pandas and the number 100 has always been a symbol of peace and good fortune in the Chinese culture. 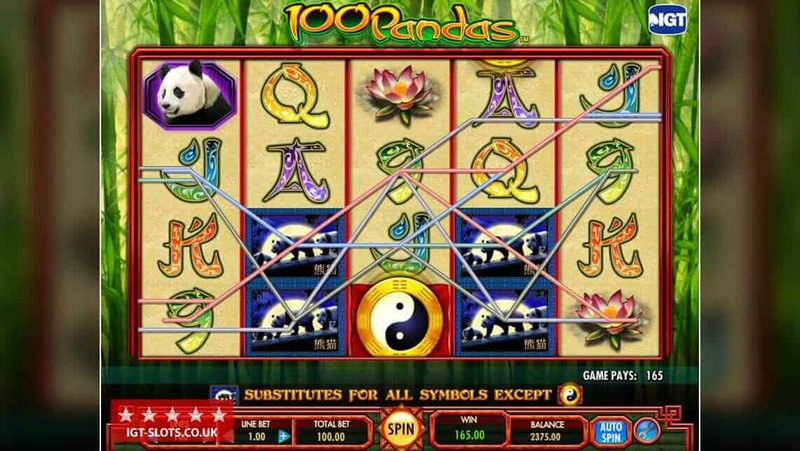 100 Pandas slot brings the two lucky charms together into an online slot game that will take you into a Yin-Yang of Wilds, Scatters, multipliers, and more. 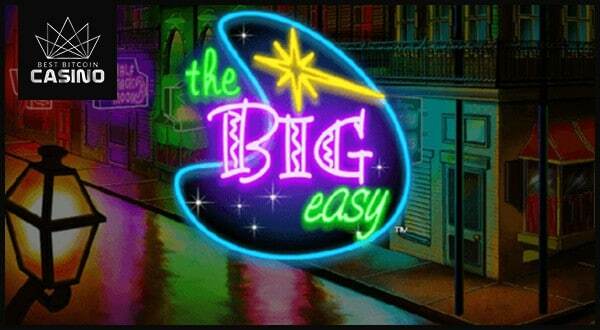 Does this game deserve a spot on your list of best online slots or would the game be a whammy? Find out below. IGT will take you to a spinning session right on the home court of charming pandas. The parchment reels are backdropped by a lush bamboo forest. As you play, it is impossible not to wish for a panda to randomly come out. You do not have to search through, as you can see them looming on the reels. Other Asian-inspired symbols like lotuses, bamboos, and yin-yang symbols are also present. The game allows you to adjust the graphics quality from Low to Best. This is helpful if you are playing in areas with poor connection, which can cause the game to glitch or lag. In addition, a relaxing traditional Chinese music and ambient nature sounds play softly in the background as you spin. 100 Pandas is a five-reel, three-row slot. The game features an RTP of 94.65%, with a whopping 100 paylines. Even better, you can adjust how many betways you wish to activate. If you want to test the waters first, the lowest stake allowable is 1 coin, which covers a payline. Otherwise, go all out by betting 3,000 coins for all winning lines. After setting your preferred bet size and active paylines, hit the reels by clicking the Spin button. For your convenience, activate the in-game Auto Spin feature. Through this, you can spin the reels on loop for 10 to 50 spins. Note that all line wins pay left to right. 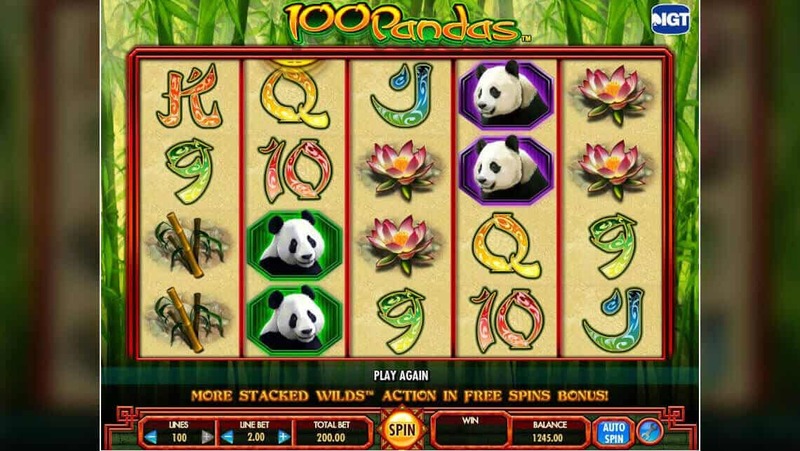 As the main star of this slot, pandas play an important role in the game. 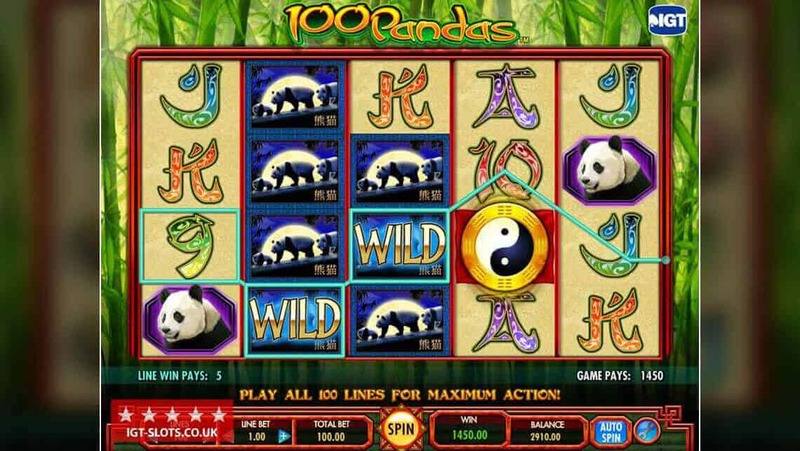 A family of panda represents the slot’s Wild symbol. 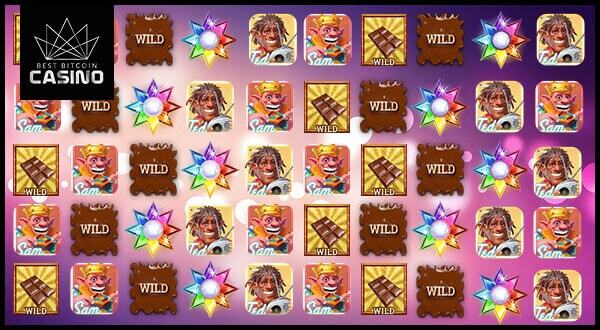 This icon will help you hit winning combos by substituting for most of the symbols on the reels, except for Scatters. In addition, this symbol award matching combinations. Getting a three-of-a-kind will reward you with 100 coins. Meanwhile, landing on five Wilds awards 1,000 coins. The Yin and Yang sign is an important symbolism in China. 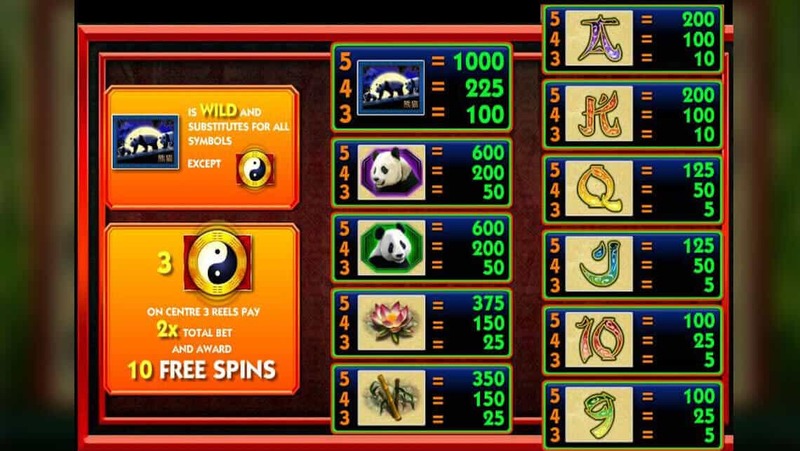 In 100 Pandas slot, the Yin-Yang symbol acts as the game’s Scatter icon, which triggers free spins. 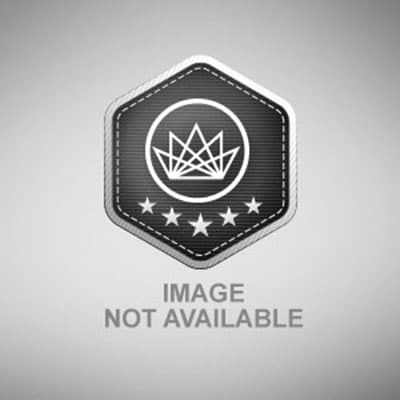 Simply land three of these symbols on the center 3 reels, and an instant 10 free spins will then be yours. On top of that, a 2 x multiplier will boost your wins. With lucky symbols bustling on the reels, you might expect this slot to be flourishing with fortune-inducing features. 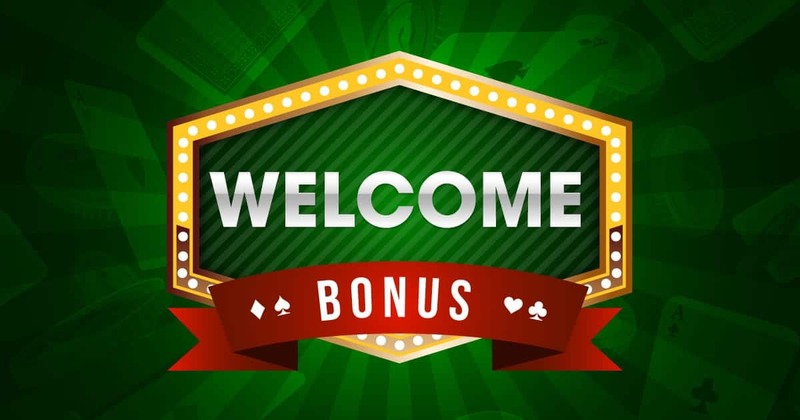 Unfortunately, the game has standard features commonly found on most slot games.